Gun Control/Gun Safety: Are Legislators Listening? On Wednesday, February 14th, 17 precious lives were lost when a former student returned to his high school in Parkland, Florida and gunned down everyone in his path. This is being considered the deadliest school shooting in the United States since Newtown, CT. It is ironic that such a heartless crime would be perpetrated on a holiday that is supposed to be about love. Interestingly, the only other notorious massacre that occurred on the lovers’ holiday was the St. Valentine’s Day Massacre in 1929. While the victims in 1929 were considered “mob gangsters”, the victims in 2018 were all innocent. The students at Marjory Stoneman Douglas High School and their parents are taking control in the debate over gun control in the United States. But will Congress finally do something? Hopefully, the civic action that high school students and their parents are engaging in around the country will result in legislative action. The Political Great Whine has taken a lot of heat (pun intended) for expressing its views on gun control…or the lack thereof but thankfully one’s view of the second amendment is protected by the first amendment. The Political Great Whine will continue to express its position on gun control. 1. Gun control is just about liberals wanting to take away Second Amendment rights. Gun control is not and has never been about taking away the second amendment right to “bear arms”. Gun control is about reducing access to military type automatic and semi-automatic rifles that are being used to kill several people in seconds or minutes. Those type of guns are not needed to protect your home or for hunting nor are they being used for that. Gun control is about conducting thorough background checks to make sure that those who “bear arms” are mentally sound and/or do not have a violent criminal history. It is about banning the sale of firearms to those who are under age 21. It is also about eliminating the sale of accessories that convert semi-automatic rifles into automatic rifles. The 2nd amendment would remain intact and would not be harmed by any of these necessary changes. No one is trying to take away any guns that are being used for protection or hunting. Gun control or gun safety can not take away one’s 2nd Amendment right to bear arms. 2. If you ban semi-automatic rifles then that includes all firearms because technology has changed. This is a “red herring” used by those who are against reasonable gun control to try and shift the discussion from reducing mass shootings to the technicalities of what should be classified as an automatic or semi-automatic rifle. This faulty logic is then used to make the first argument that gun control is essentially about taking guns away. Many gun advocates will go to great lengths to debate about the technical definitions of semi-automatic guns to avoid discussing the key point…Americans do not need war-type firearms to protect their property and/or go hunting. One bullet in a key location is all you need in both instances. Firing off several bullets in less than a minute is not necessary. 3. The “AR” in AR-15 does NOT stand for “Automatic Rifle” or “Assault Rifle”. This is true. The AR 15 is not an automatic or assault rifle….it is a semi-automatic rifle. Similar to #2 (above), this is another issue that gun advocates love to spend a lot of time on. It is the position of the Political Great Whine that it does not matter what the “AR” stands for…it is a semi-automatic rifle that does not belong in the hands of ordinary citizens. Criminal background checks should be conducted before a person is able to purchase any firearm and in most cases they are. However, a criminal background checks does not contain information about mental health UNLESS it has caused them to commit a crime (“guilty by reason of insanity”). The Florida high school shooter passed a background check and there was nothing on there about his mental health. Not to mention that there are frequent data entry errors or oftentimes information has not been entered at all. So it true that there needs to be legislation requiring background checks and the sharing of information with mental health professionals. However, that does not mean that semi-automatic firearms and accessories should be easily available to the public. 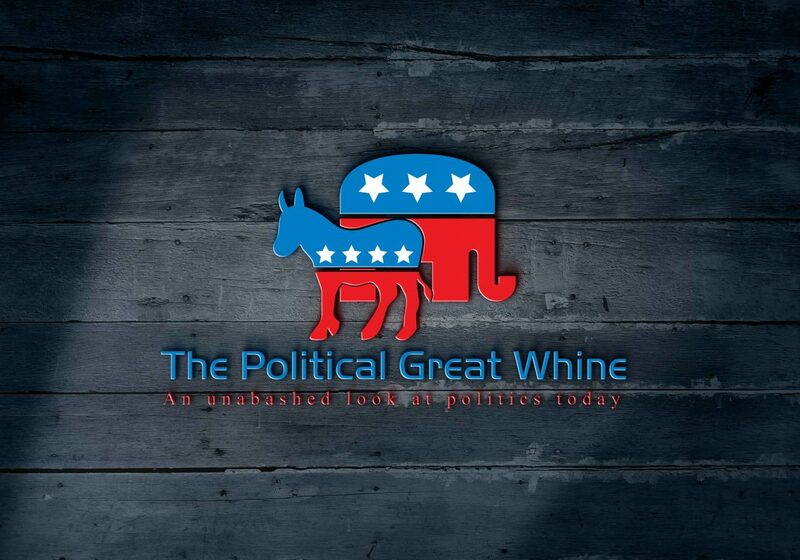 It is the position of the Political Great Whine that the AR-15 used by the Florida high school shooter should not have been available for him to purchase in the first place. No…guns really do kill people. This is a favorite chant used by gun advocates. Everyone knows that a gun is an inanimate object, yet…this argument is used in a condescending way to avoid the real issue which is the easy access to war-type guns and accessories. This argument is also used to shift all of the focus from firearms to individuals. It is the position of the Political Great Whine that the focus should be on both firearms AND the individual. The school shooting townhall discussion hosted by CNN that aired on Wednesday, February 21st was both enlightening and inspiring. To see so many high school students engaged in the political process is democracy at its best! High school students around the country have been inspired to speak up on the issue of gun control/gun safety because they do not feel safe and do not know if one of their classmates or former classmates will come back to haunt them.